All behavior for autistic children has a purpose and function. Often that purpose is to communicate something. But when that behavior is harmful? That can be so confusing and alarming for parents. But what can we do? 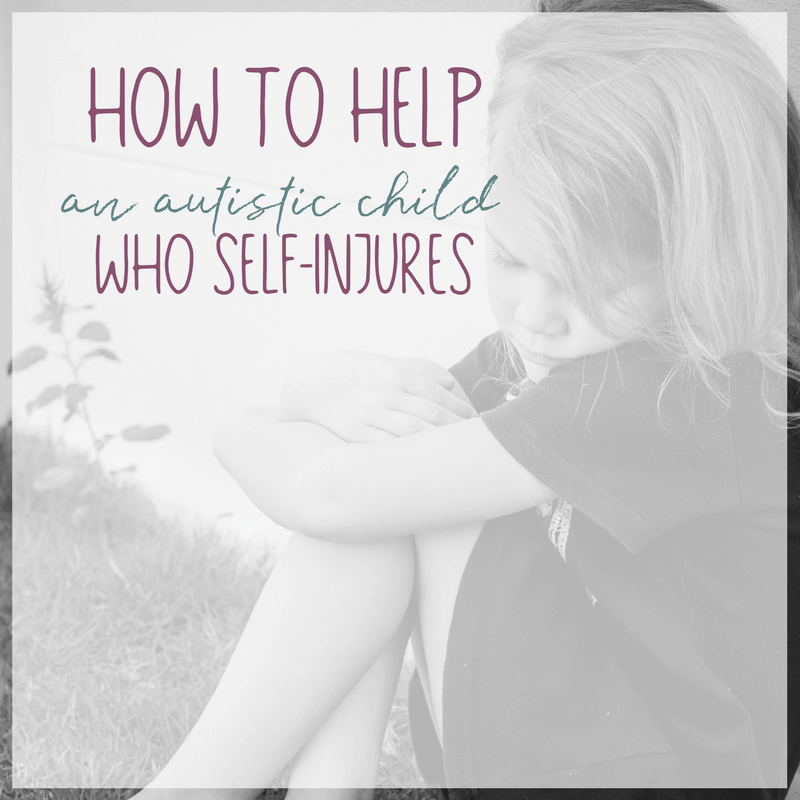 How do we, as parents, help an autistic child who self-injures? What is the behavior behind self-injury in autism? Many wonder why anyone would practice self-injury, as it is painful and dangerous. 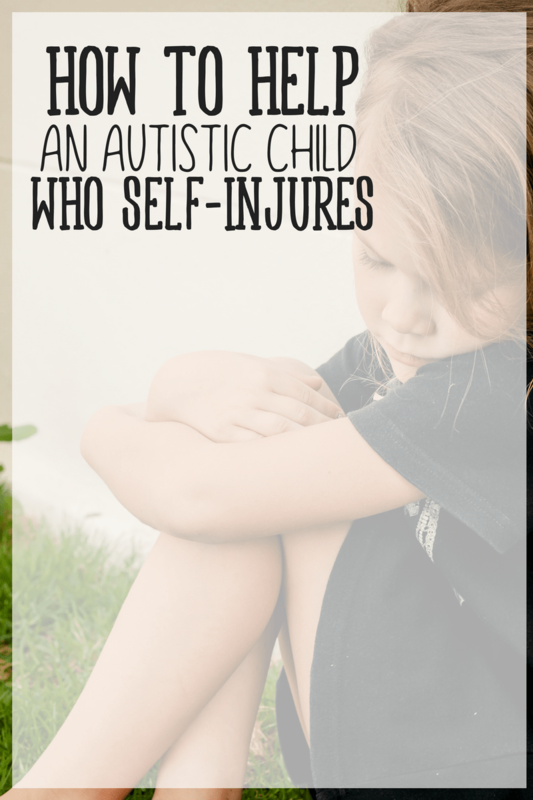 However, with autistic children, self-injury occurs more often than not. 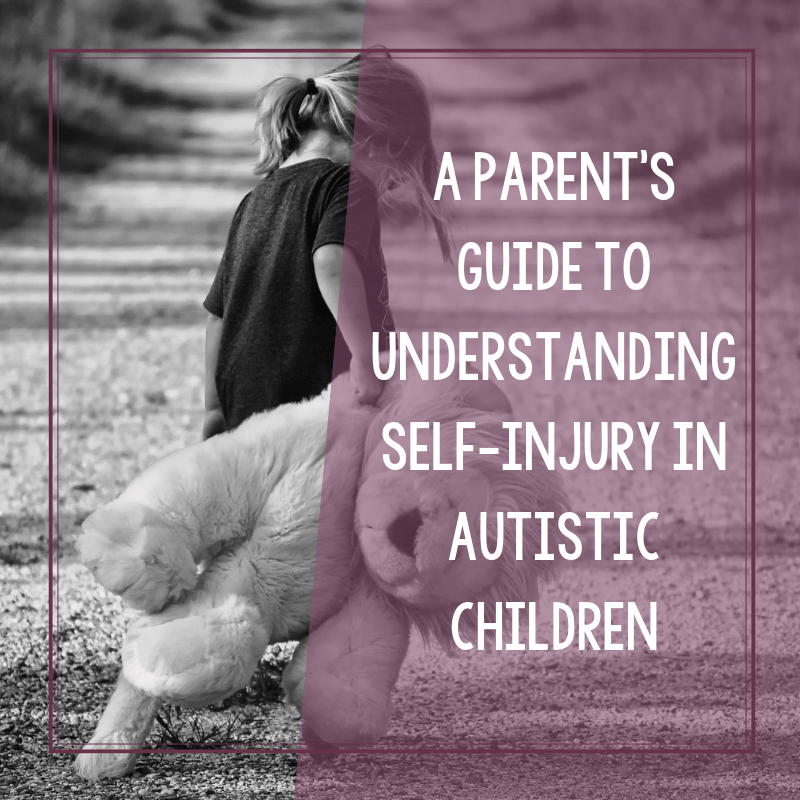 There are several theories as to why this practice can be prevalent in autistic children, and there are some methods you can use to help ease this distressing practice. In fact, when it comes to parenting an autistic child, this may be one of the more troubling behaviors that we deal with. 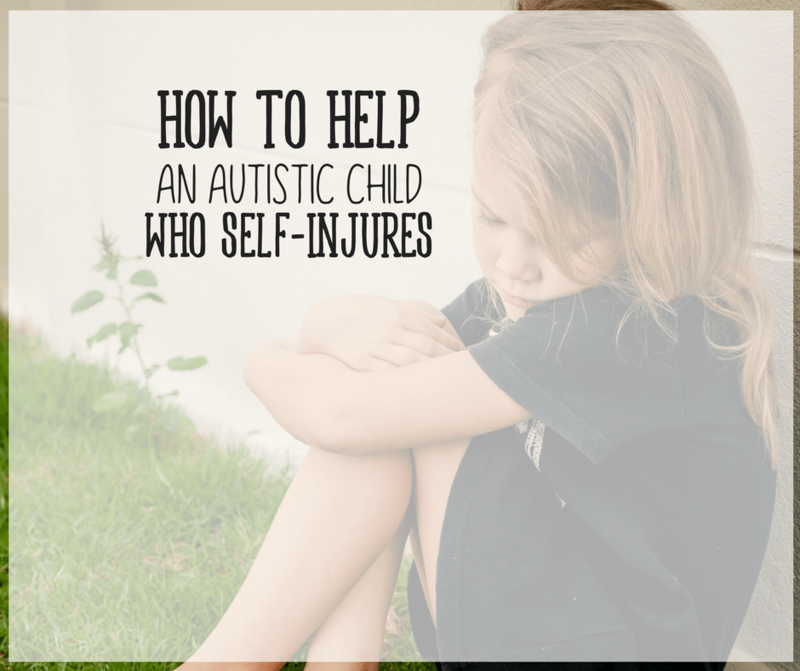 Here’s how to help an autistic child who self-injures. Because autistic children are sometimes unable to communicate through language the way that others can, they often feel frustrated at not being understood or at not getting what they need or want. Thus, autistic children may commit self-injury, by banging their heads or biting themselves (among other tactics), to release some of that frustration that cannot be communicated through words. Also, self-injury is a way of getting attention. An autistic child’s frustration goes hand-in-hand with wanting attention. This theory of frustration and attention has been the sole thinking for quite some time. Recently, however, studies have shown that self-injury can have a biochemical component that relieves some of the pain and frustration one feels by releasing endorphins, or “happy hormones,” into one’s system. The endorphins also provide a release for the autistic child, allowing him or her to temporarily forget about his or her frustration and pain. And, it is believed that if one practices self-injury enough, the endorphins will begin to help mask any pain associated with such behavior, making it an addictive action. 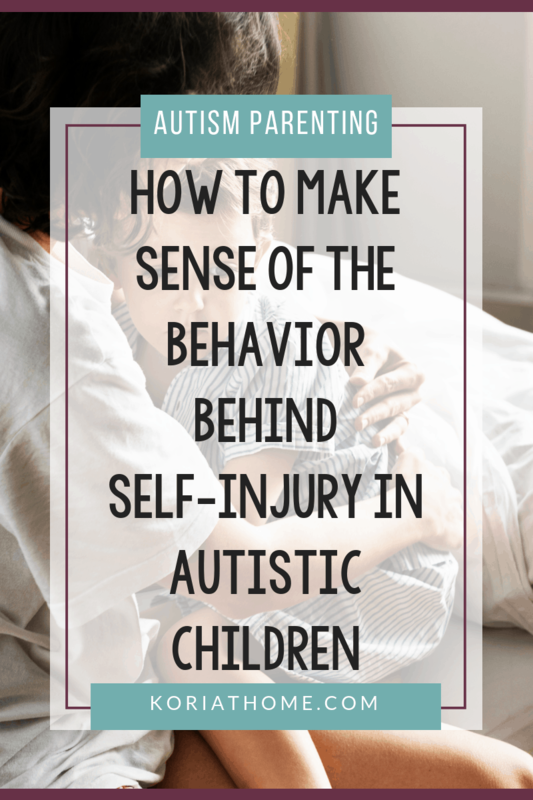 While some professionals say that ignoring the autistic child’s self-injurious behavior is an acceptable method of treating such practice, this can obviously be very difficult. Others have suggested that communication therapy and drugs may help an autistic child by providing him or her with another method of communication. There are drugs that will help stem the addictive behavior of releasing endorphins into the system, and thus help stop such behavior. There are also nutritional solutions available; vitamin B6 and calcium have been said to help many families with an autistic child. For the family members involved, communication training to learn how to communicate with an autistic child is also extremely important. Because “normal” adults, and even children and teenagers, are so accustomed to communicating through easily recognizable words or body language, they have to learn that communicating with an autistic child requires a completely different process. By looking for solutions for both the family and the autistic child involved in self-injurious behavior, one may be able to overcome this distressing practice. « Who Will Take Care of My Autistic Child When I’m Gone? A very necessary piece. Thank you for showing the bigger picture.